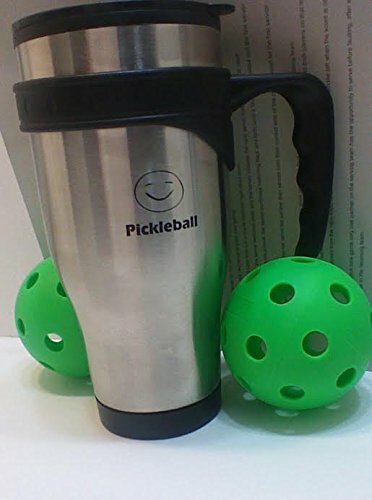 One stainless steel travel mug two 40 hole pickle balls with pickle ball rules. The Mug has a stainless steel exterior and a plastic interior. Plastic lid with a convenient no-splash slide lock. Easy to grab hook shaped handle with a finger grip design. If you have any questions about this product by LGC Products, contact us by completing and submitting the form below. If you are looking for a specif part number, please include it with your message.